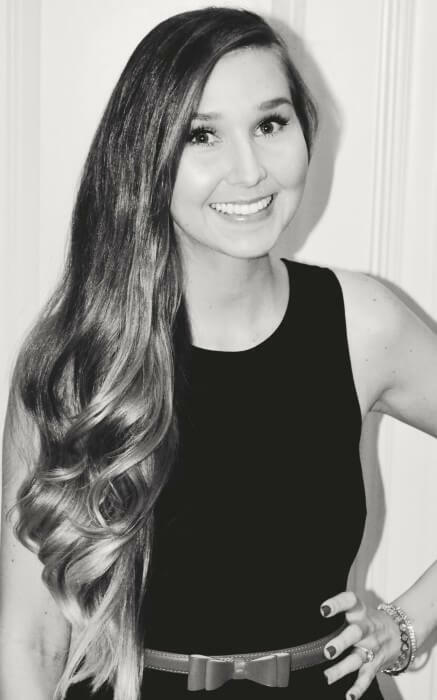 We all wash our faces daily (at least I hope you do) and we spend so much time and money on our skin care regimens, but so often our makeup brushes get overlooked. 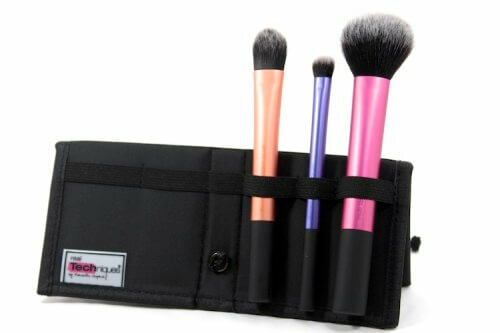 Just like we cleanse the dirt and makeup from our skin, we need to regularly cleanse our brushes for the same reasons. Not only are these tools touching your delicate skin on a day-to-day basis, but they’re often times being dipped into your makeup. 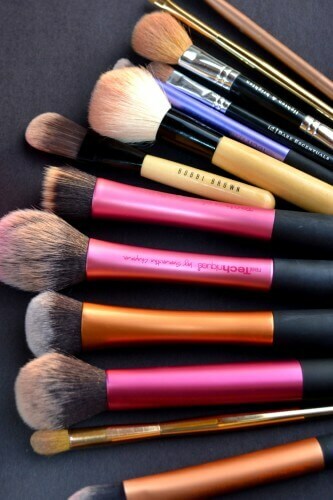 These are the brushes I use most frequently, and tend to wash on a weekly basis. I also have a 2 year old who thoroughly enjoys playing in her makeup (aka chapsticks and clean makeup brushes) so I’m often having to wash more makeup brushes than I actually use in a week. Her little face is dirty, so makeup or not, her brushes get cleaned too. I am NOT a fan of cleaning my brushes. It’s a chore, just like doing dishes, and often times my brushes will still be damp the next morning, but it’s a necessary evil. If anyone has any tips or tricks to offer, leave me a comment!! To cleanse my brushes I use Blender Cleanser, which can be purchased through Sephora. You could also use baby shampoo, or other brush cleansers (MAC sells some). I use warm water, a pea sized amount of cleanser in the palm of my hand, and then I swirl my brush in it and rinse. If you’re washing foundation brushes you’ll likely need to repeat this step until the water runs clear. 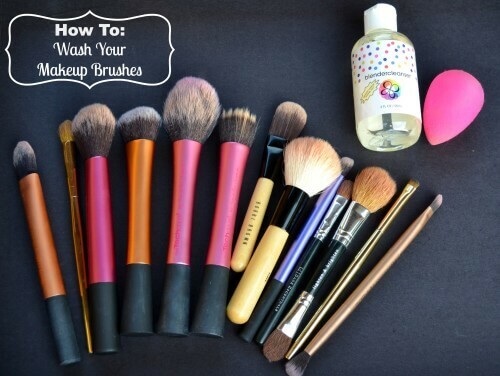 Squeeze all the water from your brush and reshape them, and then lay flat to dry on a clean towel. Smaller brushes will typically be dry within a few hours, but larger brushes will take overnight. Clean a Beauty Blender in a similar fashion by applying a pea sized amount of cleanser to the soiled area of your blender, and lather and rinse until water runs clear. Set on towel to dry. I love the domed shadow brush for applying my under eye concealer, and the multi-task brush for my bronzer. Flawless foundation and concealer application. These 3 amazing items are part of todays GIVEAWAY, valued at over $50! Enter below. Good Luck!